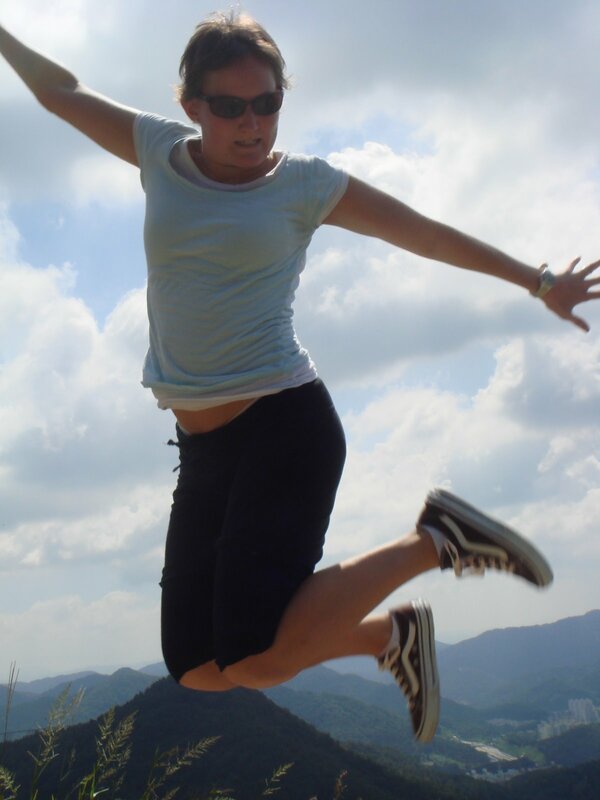 I have to confess that Lindsay and I ripped this jumping in the air idea off our friend Natalie Dean. We thought it was too funny not to try. Don’t think this will be the last one we post. And don’t think it is an easy thing to do. Just look at Lindsay’s face. We have had an excellent Chuseok, and been extremely unproductive. We slept late, read and ate a lot, and managed to see a little of our hometown, Gwangju(South Korea, Micah). We wanted to see other parts of Korea, but feared the idea of being on the road to smaller venues with many other Koreans. Instead we decided to save our money for this weekend’s Mask festival just up the road. I would expound on the festival, but I have little idea what it is all about. I only know that it has something to do with traditional dress. Last night we ate out with some friends that moved to town to teach English. They are a couple from Black Mountain that we got to know in our last few months of living there. Ethan and Maria arrived only a few days ago to Korea, and they were a sight for sore eyes. They were jet-lagged but managed to be good sports while Lindsay and I talked and talked excited to have new and familiar people to talk to. They are teaching at a hagwons near downtown and will be excellent to have in town. They are a couple of greenspace-seeking-Black Mountain lovers too. It will be nice to have them in town. 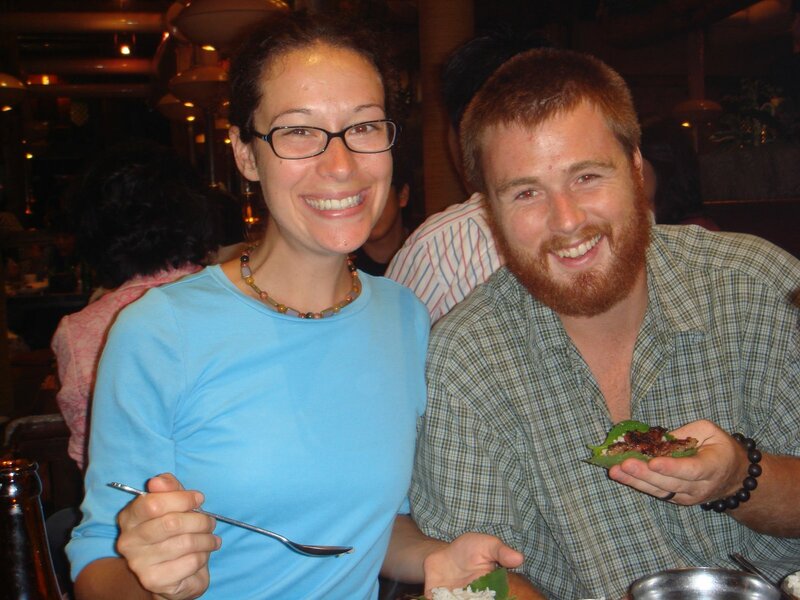 We tried to introduce them to some good Korean cuisine after Ethan managed to eat chicken feet the first night he was here. So we took them to where you eat pig’s ribs, garlic, and kimchi wrapped in leaves. So all you other Black Mountainites and “Lashvillians”out there let this be an inspiration to pack your things and join us for the year. Pomeroys, bring your grill, Abels, bring your cajun injector, McKissicks yank the Drip’s espresso machine and your best produce and farmhands, Rockmont come potluck style, Laura bring some wings, and Steins bring the Briggs. We could have a big time here in Korea. Nice daydream….But back to today. We went to Gwangju Park and camped out at our own private pavilion. We read, slept and ate(as usual) and managed to carry on a conversation with a curious Korean man. He knew I was American but thought Lindsay was Russian. Very friendly. He learned how to pronounce “Larry McMurtry” and “William Faulkner.” While I thought about teaching him some words from our books such as “reckon” and “tarnation,” I figured I would teach the finer points of the English language some other time. Before you teach words like <>reckon<> and <>tarnation<>, make sure you throw out a <>y’all<>. Being the plural form of you, it is much more essential to our particular form of the English language. I’ve even managed to demonstrate its use in my area of the US and have discovered that it is considered quaint. Not that that stopped me. hello you two. it is good to see and read your thoughts, it has been a long time. 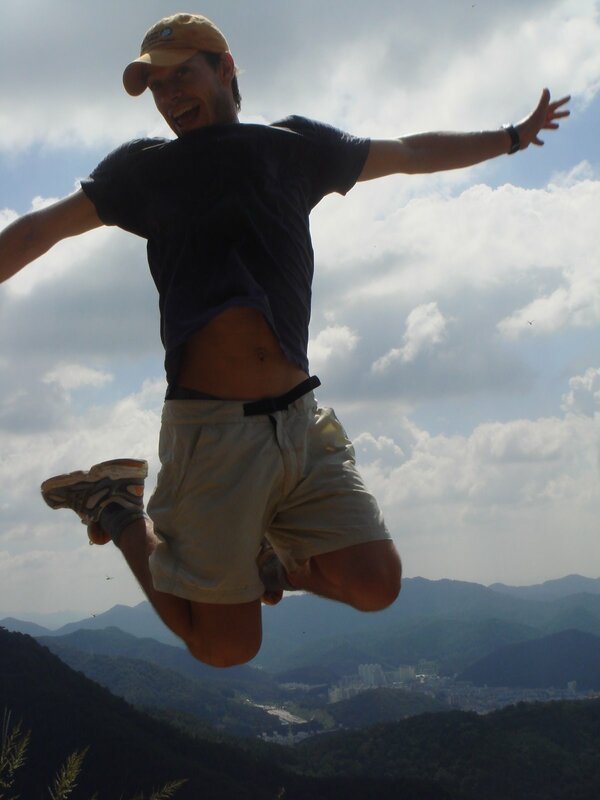 i know you are having a blast in korea – i found the blog through micah. i will frequent the site. ps. whit – you may be interested to know that they are filming ‘into the wild’. it will be interesting to see how they portray the emotional struggles of chris mccandless. (sorry if you already knew this was coming out). Thanks for the invite- we might just take you up on that! Any progress on thoughts about the Great Wall?